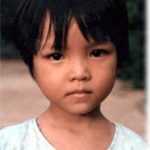 In April I will take part in a cycle challenge across North Vietnam to raise funds for Plan International - a charity dedicated to alleviating deprivation and injustice for children in over 70 countries worldwide. Plan International is a worldwide charity dedicated to alleviating poverty and injustice for children in over 70 developing countries. It is particularly focused on the plight of girls who are more disadvantaged in many societies – where lack of education, early marriage, pre-teen childbirth, abuse and violence are among the ‘norms’ for millions in their daily lives. Through the many education, support and development programmes undertaken by Plan International, children are being empowered to rise above deprivation and injustice and create better lives for themselves and, ultimately, their communities. In April, in support of the wonderful work of Plan International, I will take up a challenge to cycle across the mountainous Ha Giang province of North Vietnam in 5 days, covering up to 65 km of mountain climbs daily. Along the way I will visit and stay in the mountain communities and experience at first hand the support that Plan International programmes provide. Needless to say I would love your support for this charity challenge! I know that you have many calls on your generosity in different ways and so anything that you can contribute would be really appreciated and will go directly to the charity and to the work that they do.